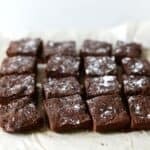 This paleo-friendly coconut flour brownie recipe is fudgy and made with wholesome ingredients that are all gluten-free! There’s no oil involved thanks to the secret ingredient of beet puree. That’s how this recipe got its name of Sneaky Beet Brownies. 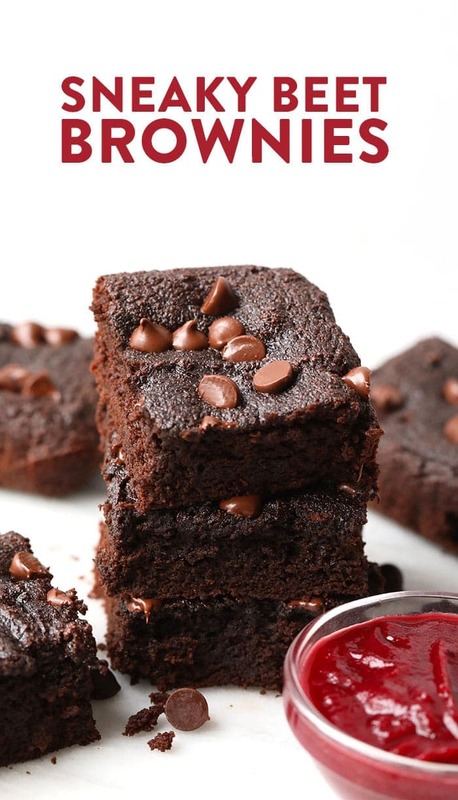 Just in time for Valentine’s Day we’re bringing you an old favorite from Fit Foodie Finds — Sneaky Beet Brownies! 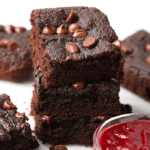 Back in 2014 we created a delicious beet brownie recipe, but TBH, the ingredient list was just sub par. No idea why I used granulated sugar, but I did so we knew when reformulating this recipe that needed to go. the old recipe called for gluten-free flour, but I love the density and flavor of coconut flour so that was switched out too in order to create the most epic, most, flavorful, coconut flour brownies with a sneaky ingredient…beets! How gorgeous are pureed beets? If you asked me on the street if I was a beet person, my answer would be no. I don’t really like eating them plain or even chunked on salads. Linley, on the other hand, is beet obsessed. That girl would Instant Pot beets, peel them, and eat 2 of them for lunch every day if she could. Me, not so much! That’s why I have to get creative in order to get my beets in. 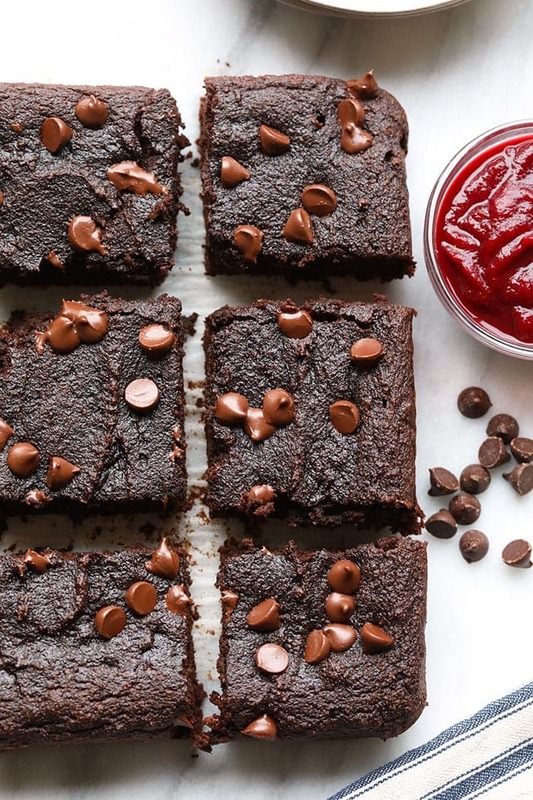 Insert — Sneaky Beet Brownies. 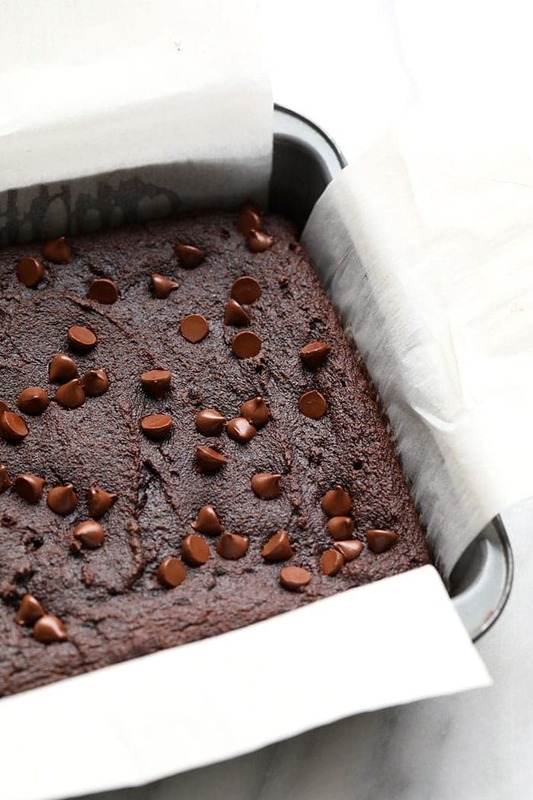 What makes these brownies so amazing? Grain-free made with a mixture of coconut flour and almond flour. 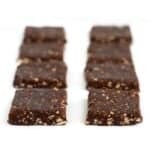 Refined-sugar free made with maple sugar and your choice of dairy/free or sugar/free chocolate chips. VEGETABLES – made with 2 full pureed beets OMG. I’d say the beet flavor in these brownies is subtle and not super overpowering, which I prefer. Every time we’ve made this recipe we do one of those, OMG this is the best thing we’ve ever made. 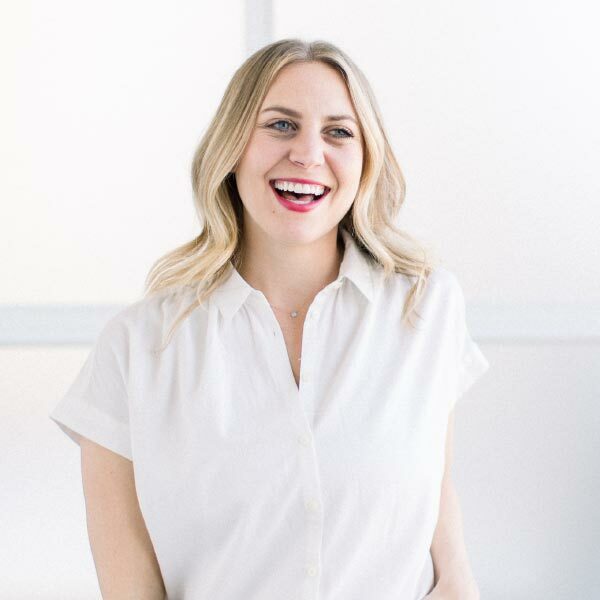 You can even ask Brita, the amazing woman who creates all of our recipe videos. She’s more obsessed than we are. 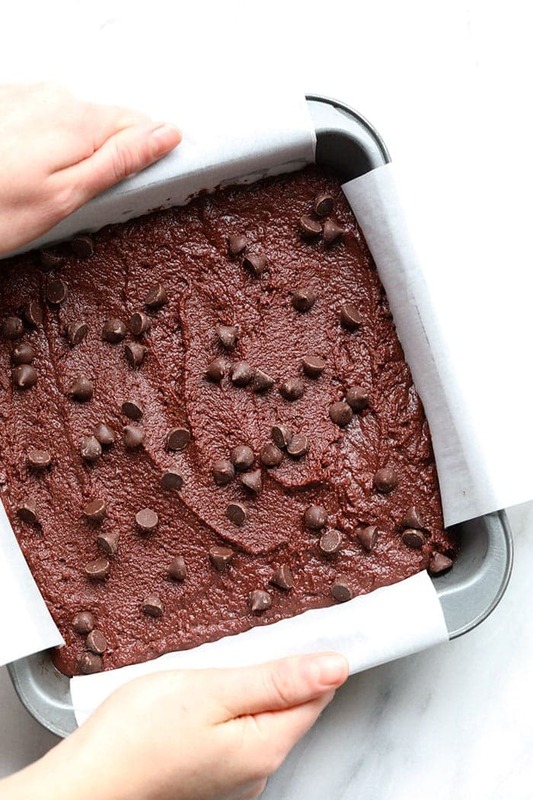 As always if you make these amazing coconut flour brownies, show us on Instagram! Tag @FitFoodieFinds and #FitFoodieFinds so we can see. 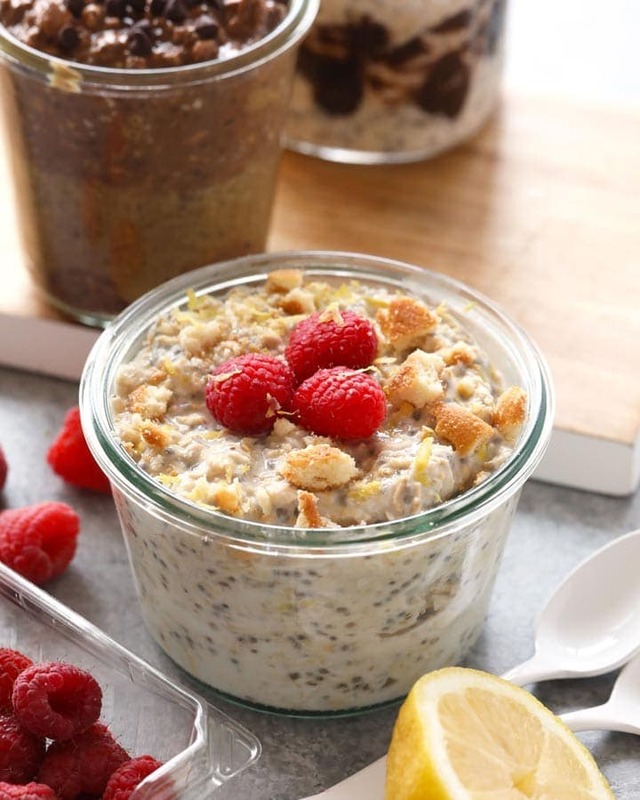 We absolutely love seeing your creations and FYI, we share reader recipe creations on our stories every Sunday! Preheat oven to 350ºF and spray an 8×8-inch pan with cooking spray OR line with parchment paper. Set aside. Mix all dry ingredients (except for chocolate chips) in a medium-sized bowl and set aside. The 1/4 cup of chocolate chips will be used on top. 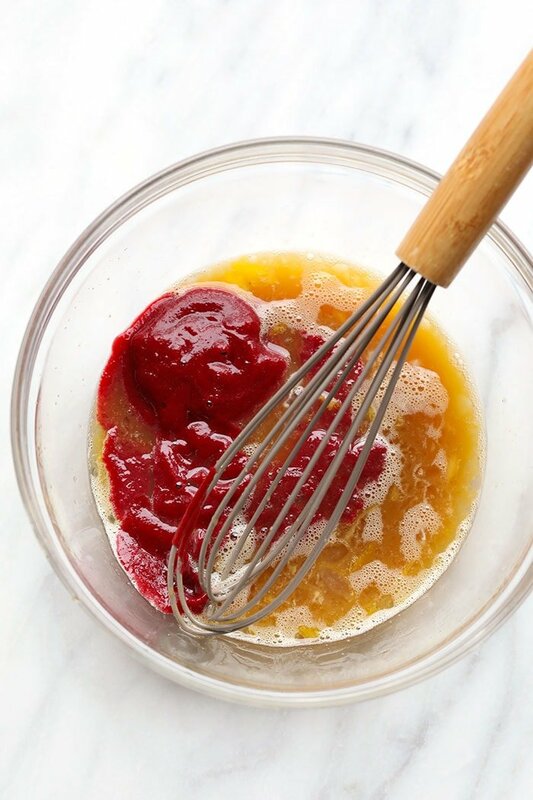 Prepare beet puree by placing 2 cooked beets into a food processor for 2-3 minutes or until you’ve formed a puree. In a separate bowl, mix together all wet ingredients except for 1/2 cup of chocolate chips (you be melting these for later). Add dry ingredients to wet ingredients and mix. Place 1/2 cup of chocolate chips into a small, microwave-safe bowl and heat on high for 1 minute and 30 seconds, stirring every 30 seconds. When chocolate chips are melted, fold them into brownie batter. Pour brownie batter into pan and spread evenly with a spatula. Top with chocolate chips. Bake for 18-21 minutes (depending on how gooey you want them). * You can buy pre-cooked beets in some grocery stores. To make beet puree with uncooked beets, preheat oven to 400ºF. Wrap beets in tin foil and bake for 45-60 minutes. Remove from oven, let cool, and remove skin. Place beets in a food processor for 2-3 minutes until pureed.